Ara is named after a seven-star constellation, and she’d love to know how many stars there are in the sky. With her faithful companion robot, DeeDee, she visits Innovation Plex for help in solving her problem. First, she visits Kripa, the prolific problem solver, and discovers she needs a plan to program DeeDee to count stars. Next, she meets Parisa, the intrepid innovator, who helps her build an algorithm. Diane, the code commander, teaches Ara how to build her own code. And finally, Marian, the tenacious troubleshooter, upgrades DeeDee’s hardware, so she has enough memory to count all the stars. Using courage, creativity, code, and collaboration, Ara succeeds in programming DeeDee to count all the stars in the universe. She sets a terrific example for all girls (and boys) who see their futures in technology, as she works through her problem in a logical and systematic manner. Ara the Star Engineer is a fun read with a great message. The Queen of Bread oversees the royal bakers, guiding them as they make delicious breads she sells to neighboring kingdoms. One day she becomes ill and her daughters, the Princess of Bread, must step in to take her place. But the princesses have never paid attention to how the Queen makes her breads, and can’t give good directions. Their loaves are tasteless and ugly. One evening, as they once again attempt to duplicate the Queen’s bread, a Fairy Godmother arrives with a magic cookbook. She shows the princesses how to measure length, volume, and weight to create perfect loaves of bread. The following day, the princesses show the bakers what they’ve learned and they successfully bake their daily quota of delicious bread. The kingdom is saved and they turn their attention to the Queen’s health. Thankfully, the Fairy Godmother has also provided a recipe for magic bread that cures illnesses, which the princesses easily produce. Princesses of Bread introduce the concepts of length, volume, and weight, and how to measure each. Kids will also have the opportunity to practice these in the exercises provided. This cute story would be a great resource for classroom study. Fifteen mice living in a storage shed on a farm watch the blizzard raging outside. Inside it’s cozy and warm, and there are boxes stacked around them, filled with food. So when the cat delivers a message that he intends to eat the mice for dinner, they are understandably upset. How can they continue to live in their cozy shed while avoiding the fearsome cat? One elder mouse remembers a story about another cat long ago and how the mice defeated him. It involved hanging something around his neck. But what was it? As the fifteen mice debate, many ideas are discussed and they don’t all agree. So they begin to vote on their choices, recording their votes in various ways. They line up in rows, gather chestnuts into a pile, and draw chestnuts in a column. In all three discussions, it’s clear which choice is the winner. And when they do come up with a terrific plan, the fearsome cat troubles them no longer. How to Avoid the Fearsome Cat is a great resource in teaching kids graphs and mathematical thinking. Using various techniques in the story, as well as exercises in the back pages, kids are asked to determine the results of the data they collect. Kids will have fun learning their graphs while watching the mice defeat the fearsome cat. Circles are everywhere. But when is a circle not a circle? When it’s a sphere, cylinder, or cone. In this geometry book for kids, author David A. Adler shows how circles have a diameter, radius, circumference, and area. And they have tangents, arcs, chords, major and minor sectors. Using simple tools – ruler, paper plate, and tin can – Adler demonstrates each of these concepts. He shows how two diameters of a circle intersect in the center, and all of the circle’s radii are equal in length. Tangents, arcs, and chords are demonstrated, identifying the circle’s major and minor sectors. The circumference of a circle is determined by rolling a tin can and measuring the distance it rolls. Pi is calculated, using the radius and circumference of this circle, and kids then calculate the area of several circles, using pi. Geometry is easy if explained in a method kids understand. This hands-on approach to circles and their characteristics should appeal to all kids, not just those naturally drawn to mathematics. Mathematics comes alive when seen visually, and computer programming makes it easy to turn formulas into graphs. Doing Math With Python shows the budding math whiz how to do this, step by step. Prior knowledge of Python is not assumed, and the author shows the reader exactly how and why he’s using each line of code. Building on basic logic, the reader is then guided into programming more and more sophisticated graphs. Simple data mapping leads to graphic illustrations of algebra and physics equations. Statistical analysis, calculus, and even fractals are covered. Serious math students who also enjoy working with computers will find Doing Math With Python a valuable resource. I highly recommend it. An old carpenter walks through the woods, listening to the birds sing. He suddenly has an idea and gets to work quickly. Soon he has built several birdhouses, each attracting a pair of birds. And when the birds mate, there are eggs and baby birds. In this unique mathematics picture book, kids will be multiplying the number of bird houses by the number of birds or eggs inside. Then they will be shown the same calculation as a repetition of addition. The last pages explain the math concepts shown and give teachers some activities to share with their students. Math doesn’t have to be boring or hard. 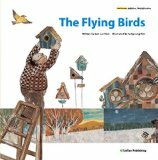 The Flying Birds repeats multiplication and addition scenarios over and over, making sure kids understand the concepts by the conclusion of the text. Counting birds and their young is much more enjoyable than working with abstract numbers and kids will appreciate learning math skills with this fun educational book. 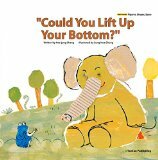 Could You Lift Up Your Bottom? Frog is on her way to a friend’s house when her hat is blown away. Elephant sits down on the hat before Frog can retrieve it. But Elephant is very hungry and won’t give back the hat unless Frog provides food in many shapes. First round foods, then triangle, then rectangle. Then circles within circles, triangles within circles, and other combinations. Elephant continues to demand more food, while Frog pleads for him to lift up his bottom. Finally, Frog tricks Elephant into standing up, and quickly grabs her hat. Elephant gets a nasty surprise and learns a lesson in treating others more kindly. The last pages of Could You Lift Up Your Bottom? are ideas for food in different shapes and how to recognize the different shapes. Lots of pictures are provided. Kids will giggle at Frog’s desperate attempts to get Elephant to stand up, and Elephant’s determination to eat everything he possibly can. And while they’re having a fun time with the story, they will be learning how to recognize shapes. This book would make a great addition to any classroom library.